Near Yellow Jacket Canyon, June 8, 2006. 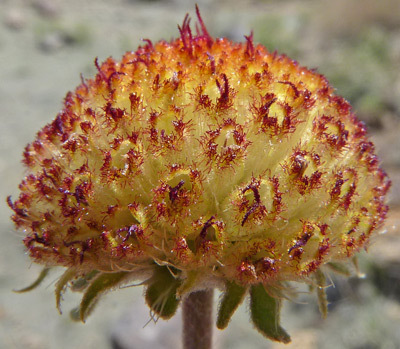 This Blanketflower has flowers to three inches in diameter, and very hairy, light green, elongated leaves. 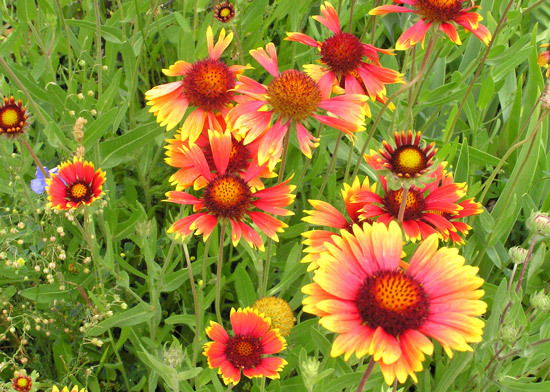 Gaillardia aristata seeds itself readily, re-grows from old root stock, and flowers from June through September making it very nice in flower gardens. In 1806 Meriwether Lewis collected the first specimens of this species for science on what is now the Lewis and Clark Pass in Montana. The plant was named by Frederick Pursh in his Flora Americae Septentrionalis in 1814. "Aristata" is Latin for "awn" and refers to the shape of the pappus. Foothills, montane. Openings. Summer. June 14, 2004. Near Yellow Jacket Canyon, June 14, 2004. Desert, semi-desert. Openings. Spring and early summer. East of Bluff, Utah, May 3, 2007. 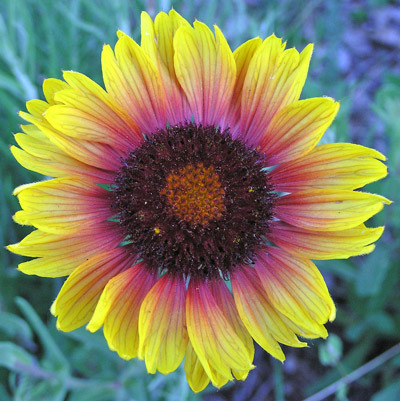 The eye-catching combination of burnt red and bright yellow make this an easy flower to spot. 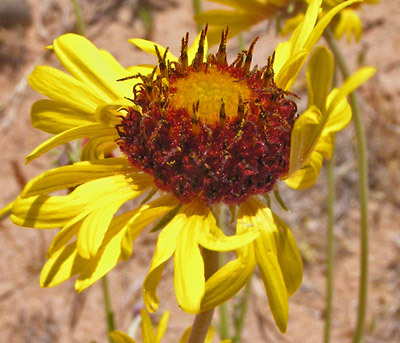 This and the above species of Gaillardia spread readily from seed and large areas along roads and in sandy soils can be lined or dotted with their bright flowers. 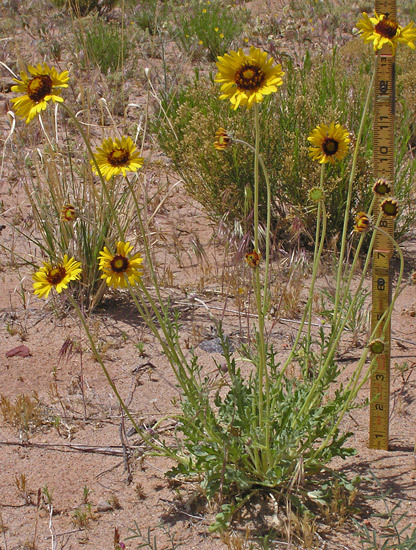 Since Blanketflowers reproduce so readily, the seeds of several species are often included in western wildflower mixes. 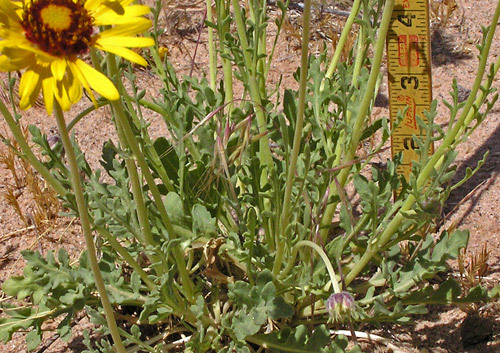 Flower stems of the pictured species are long and lanky and flowers bob and sway in the wind. Edwin James collected the first specimen of this species for science on the Long Expedition of 1819-1820 and the plant was named by John Torrey in 1827. 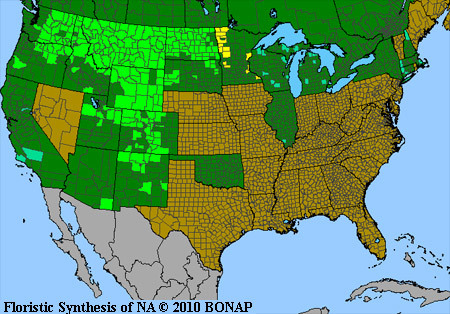 "Pinnatifida" is Latin for "pinnately lobed leaves", i.e., the leaves are divided into many small leaflets (see below). Basal and stem leaves are deeply incised, i.e., they are "pinnate". East of Bluff, Utah, May 3, 2007 and Canyons of the Ancients, May 21, 2011. It is common for Gaillardia pinnatifida outer yellow ray flowers to be three lobed, but even without the ray flowers, the flower head is entrancing.